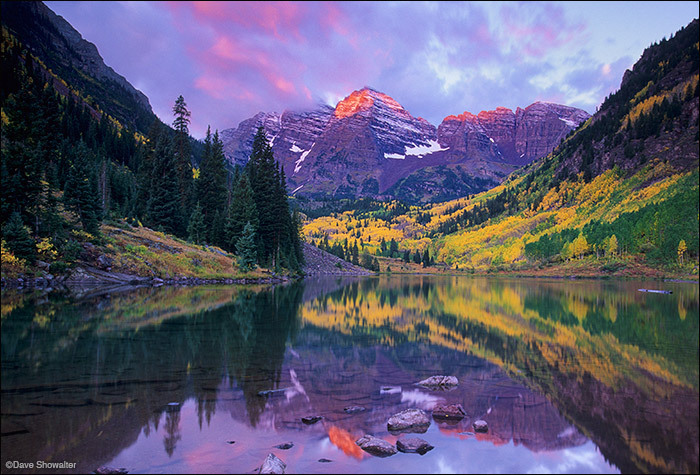 Maroon Peak, 14156' and North Maroon Peak, 14,014' are reflected in Maroon Lake at sunrise. The view of The Bells from Maroon Lake is said to be one of the most photographed mountain scenes in the world. Photo © copyright by Dave Showalter.